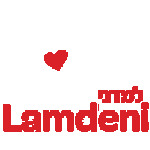 At Lamdeni we strive to provide the highest standard of Hebrew language study in the limited time frame. Each level participates in 2 Hebrew sessions, our Aleph Legend Hebrew Language Program and our Aleph Legend ReadingProgram. There are 7 levels in Lamdeni Aleph Legend, based on the current VELS for LOTE. In all sessions children immerse in the Hebrew language and each level incorporates the four strands of language, i.e. reading, writing, listening and speaking. Our focus is to impart relevant Hebrew language skills integrated with Jewish themes. This allows the children to practically apply and use the language into their lives.